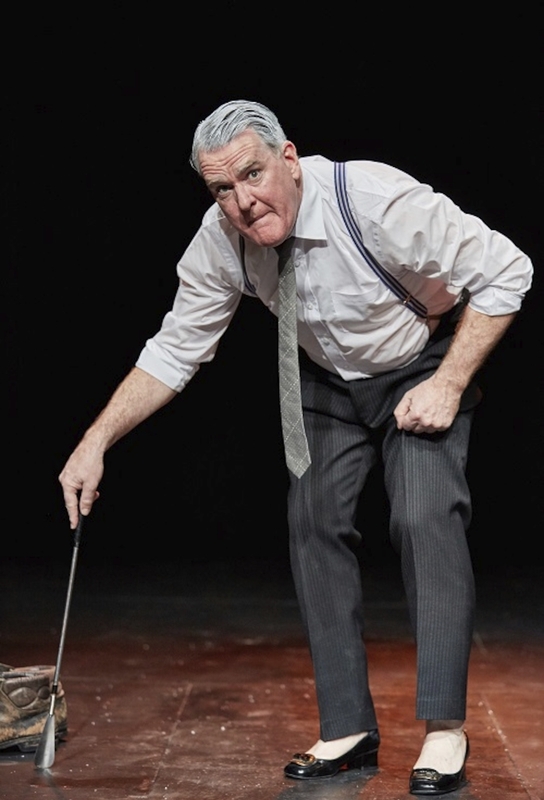 After four years of trying to lock him down for a date to perform in Westport Town Hall, Irish actor-writer Mikel Murfi finally brings his enormously big-hearted and ridiculously energetic one-man show “The Man in The Woman’s Shoes” to Westport on January 16 and 17. Shortlisted for the Irish Theatre Awards and following rave reviews from the New York Times, The London Times and The Sunday Times – this is a one-actor show that is not to be missed. For 75 minutes, Murfi talks pretty much non-stop, making real the inner voice of his character, Pat Farnon - a rather animated cobbler. Other characters come thick and fast as Murfi acts out the endless folk who Pat meets during the day or who he remembers on his travels. We meet Pat carrying out an odd task. It's late 1978 and he’s walking into town from his house wearing a pair of women’s shoes. Why? He’s breaking them in for Kitsy, a woman who he admires and who’s coaching a football team in the park that afternoon. En route, Pat meets friends and acquaintances; he stops in a cafe; he ponders the Catholic church and his relationship with God; he laughs about the recently deceased Pope. The chat is so relentless that it’s hard to keep up at times. But the words, language and rhythms of everyday speech all carry a sharp ring of truth to them. It helps that so much of this is very funny, a carnival of the everyday. Murfi’s play, which has toured to record-breaking demand in Ireland, the UK and the USA, was commissioned by the Sligo Arts office for a festival celebrating creativity among older age groups; while writing it he drew on the stories and memories of people in his home country of Sligo. On a journey that faintly recalls Maddy Rooney’s walk to the station in Samuel Beckett’s All that Fall - though Murfi’s play has only hints of the darkness and complexity of Beckett’s drama - Pat meets a collection of eccentric local characters, recalls old customs such as notifying the bees of a death and considers whether Pope John Paul could become an organ donor (the play is set in October 1978, months after the Pope died ). Described as Extraordinary physical performance steeped in sharp observational comedy – this is a play not to be missed in Westport.